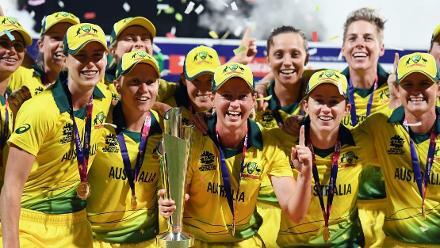 Australia made their fifth consecutive ICC Women’s World T20 final with a dominant display against the home team, negating a 7000-strong home crowd at the Sir Vivian Richards Stadium. 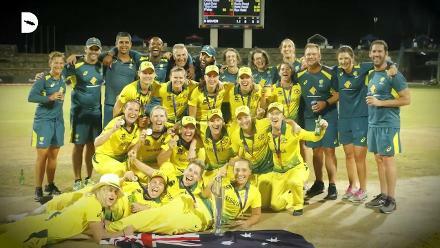 Australia made their fifth consecutive ICC Women’s World T20 final with a dominant display against the home team, negating a 7000-strong home crowd at the Sir Vivian Richards Stadium. Australia will now challenge for a record fourth ICC Women’s World T20, where they will meet England, who beat India in the second semi-final. After watching Australia dismantle the title defense of the Windies, most of the crowd stayed on for the second semi-final, where England made short work of India to set up the third title clash in the ICC Women’s World T20s between the Ashes rivals. The Windies seemed to have misread the pitch, as they continued to leave out the spin and experience of Anisa Mohammed when they won the toss and chose to bowl. The surface offered both grip and turn, which demanded some high-class batting, and Alyssa Healy provided just that. 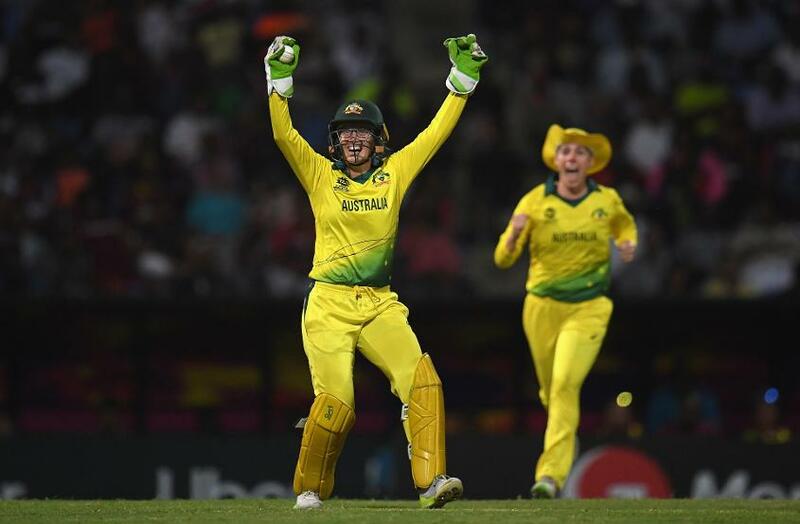 Alyssa Healy of Australia celebrates after taking a catch to dismiss Britney Cooper of Windies during the ICC Women's World T20 2018 Semi-Final match between Windies and Australia at Sir Viv Richards Cricket Ground on November 22, 2018. Healy top scored in the match with 46 runs even as others struggled, showing why she is the in-form batter, She paced her innings expertly, hitting over the top when the length allowed, and at other times using the pace to score square of the wicket. She crossed 200 tournament runs on the way, becoming the only player to breach that mark in this edition. 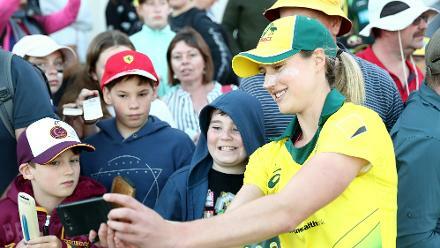 A late surge from Rachael Haynes, who scored 25 off 15 took Australia to 142 for five, a total that proved well beyond the Windies when they batted. Healy again was the first to do the damage, affecting a smart run-out to dismiss Hayley Matthews. Ellyse Perry then took two more wickets in the Powerplay to cripple the Windies run chase. After Stafanie Taylor was fifth out in the 11th over, the Windies lost their last five wickets for 27 runs to surrender their crown, bowled out for 70. Player of the Match, Australia’s Alyssa Healy said: “I think the last two World Cups we were a part of, we took two pretty hard defeats. It shows the maturity of the group to be able to come back together especially after England last year. Windies captain Stafanie Taylor said: “In my opinion, I just believe that we didn't give ourselves a chance to spend some time at the wicket. I believe that this wicket was a great opportunity to do that, spend some time on the wicket; it was a bit slow. But I found that in the second half the ball was coming out a bit better. England joined Australia in the final of the ICC Women’s World T20 2018, with a convincing eight-wicket win against India on a turning surface at the Sir Vivian Richards Stadium. As many of the fans who had turned up to watch the home team stayed on, England made light work of what seemed like a tricky chase of 113 to enter their fourth final in tournament history. Kirstie Gordon of England celebrates after dismissing Harmanpreet Kaur of India during the ICC Women's World T20 2018 Semi-Final match between England and India at Sir Viv Richards Cricket Ground on November 22, 2018 in Antigua, Antigua and Barbuda. After winning the toss, India were well placed at 93 for three in 15 overs thanks to a brisk start from Smriti Mandhana, who scored 34. But then Kirstie Gordon –playing in her first tournament- took two wickets in the sixteenth over to trigger an incredible collapse, in which India lost five wickets for 11 runs. 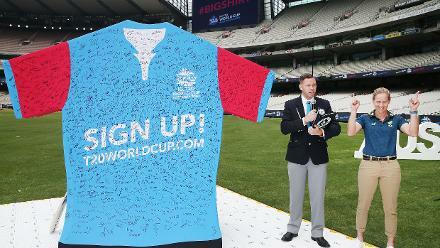 England finally bowled out India for 112 in the last over. 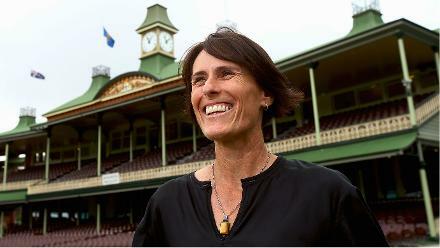 Amy Jones (53) then notched up a career-best score to guide England home, as dew and poor bowling negated the Indian spinners. Jones stitched together a partnership of 92 with Natalie Sciver, who also stroked an impressive 52 runs. 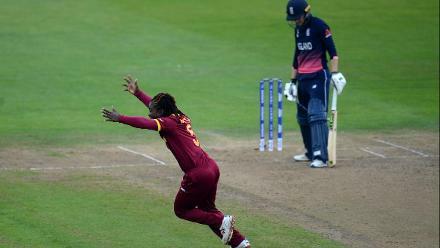 The stand was unbroken, as England romped to an eight-wicket win. 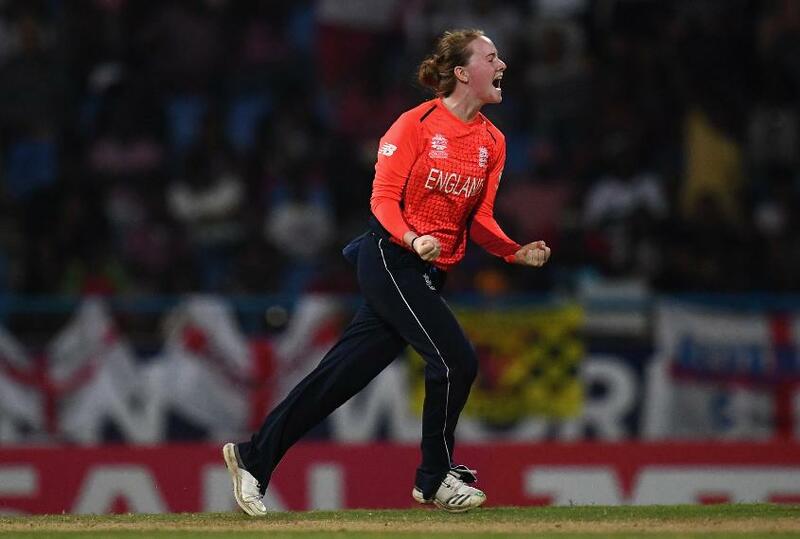 Player of the Match, England’s Amy Jones said: “I think with Ali (Alistair) Maiden the batting coach, we worked so hard looking at their bowlers and making sure everybody played their plans; safer places to hit their attack. They're a little bit slower than some of the spinners. 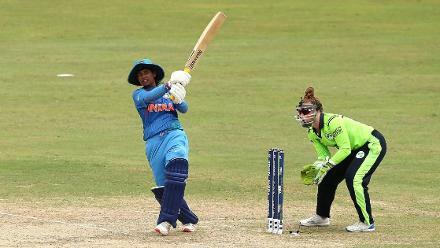 India captain Harmanpreet Kaur said: “I think in the first innings there was turn on the wicket and their bowlers were turning it quite a bit. And I think in the second innings some dew factor was there. I think just because of the dew, the ball didn’t turn much.